Arrival in Madrid and transfer to the hotel. Rest of the day free. 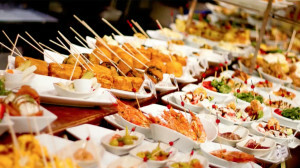 Dinner comes in the form of a Modern Tapas Tour around the Retiro neighbourhood (culture) Accommodation. Breakfast in the hotel and at the indicated time we depart for Toledo. Arrival and through an unconventional tour we will learn about the cultural history of this wonderful city and take a tour of the rooftops and courtyards of Toledo. We will then have a traditional lunch where we will try the dish known as "Carcamusas" (pork and vegetable stew). In the afternoon we will head back to Madrid, stopping to learn about the world of wine at the "Loranque" Estate where we will have the chance to visit the vineyards, the processing area and the rooms where the wine is aged and bottled. We will finish with a guided tasting to end the visit. Return to Madrid. Accommodation. - Attend a flamenco class to learn about the techniques involved in this art, its sensuality and the power of movement. - Take a tour of the most symbolic shopping areas in the city, Gran Via, Fuencarral, … ending up at San Miguel market. Breakfast, on arrival we visit Segovia and its aqueduct. Traditional lunch of roast suckling pig. We continue to Ribera del Duero where we visit Peñafiel and its Castle. Peñafiel, with its castle, was a key part of the defensive line along the Duero, for both Christians and the Muslims who occupied the area in the 9th and 10th centuries. Its magnificent 14th century castle is now home to the Provincial Wine Museum. The city of Peñafiel has many delights to discover such as the church, the convent and Plaza del Coso, which is used as a bullring during local festivities. Accommodation in Peñafiel or surrounding area. 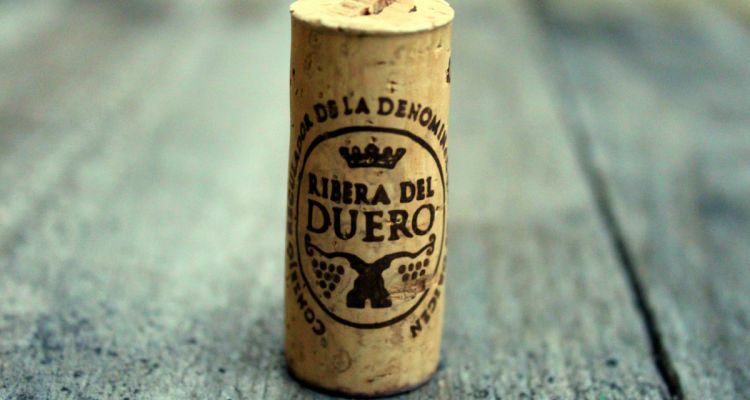 After breakfast we depart for a visit to two Ribera del Duero wineries and lunch. Different wineries have been selected, one traditional and one modern. We have a guided tour of the production and representation facilities of the winery, tasting of the wines produced there and enjoying an aperitif. Lunch. We continue to Burgos where we visit Burgos cathedral. This Cathedral is one of the jewels of Spanish Gothic architecture, declared a World Heritage Site by UNESCO. Check in at the hotel and dinner free. Breakfast. 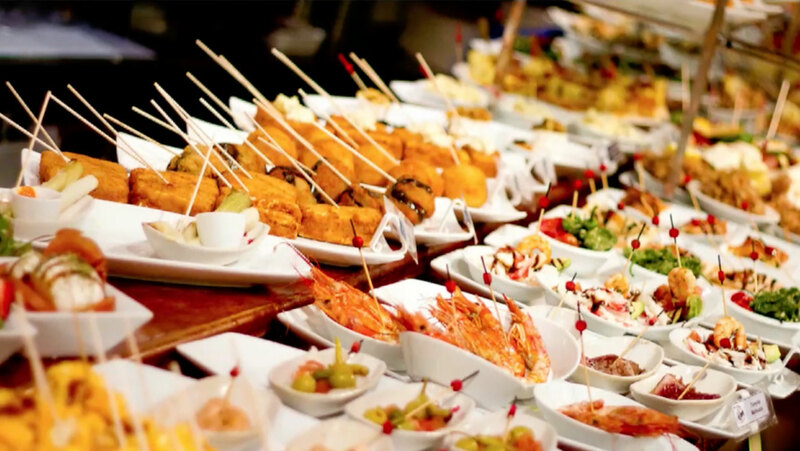 Depart for Rioja to discover one of the Spanish wine regions par excellence. To find out a little more about the wines we will start the day visiting the Vivanco Dynasty Museum of Wine Culture in Briones. This impressive new Museum of Wine Culture was opened in June 2004 by His Majesty the King. All of this is found in Briones, in the foothills of the Sierra de Cantabria mountain range and on the banks of the River Ebro. We then go to the medieval city of Laguardia where we can discover the city, taking a tour, and its old underground wine cellars "El Fabulista". We will tour the production and representation facilities of the winery, tasting the wines that are produced there and have an aperitif. Lunch in a restaurant. We will then travel to Logroño. Accommodation. Breakfast. In the morning we will have a brief panoramic tour of the city of Logroño before heading to Bodegas Ontañon where we will enjoy the “Vineyard Visit”, an unforgettable experience involving a walk to see the vines at Bodegas Ontañón. Here we will see the century-old vine called “El Arca”, in addition to incredible locations at the limit of cultivation in La Rioja, namely the “La Pasada” vineyard, the wildest of all with crisscrossed asymmetric hills creating a setting of unparalleled beauty for nature lovers. Surrounded by hills that give it a characteristic microclimate, it is common to see wild animals such as roe deer, wild boar and partridges. This is the origin and personality of our wines. In addition, we will visit an 18th century family winery in the winery region of the municipality of Quel. This will include a picnic in the vineyard and traditional lunch accompanied by a selection of premium house wines. At the end of the visit we return to Logroño. Accommodation. Breakfast at the hotel. At the agreed time we depart for the small town of Baños del Río Tobía, known for the Chorizo festival and the good cold meats they make in the area. We will have the opportunity to visit a cold meat factory that continues to use the traditional techniques, and to have a tasting of the cold meats. 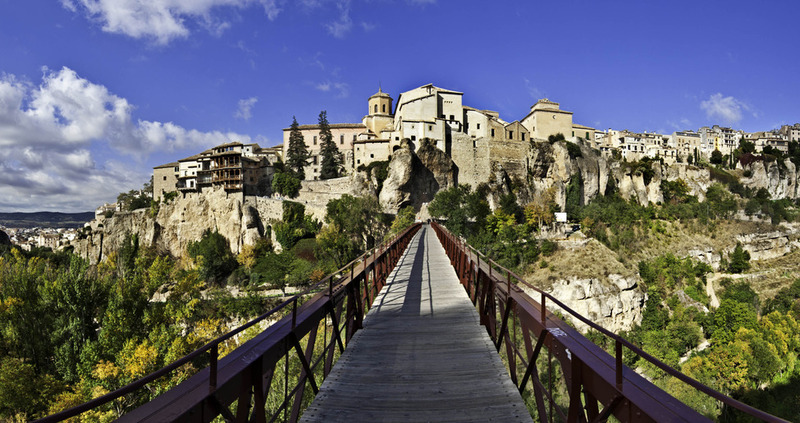 Once we have finished we will head towards Cuenca, on arrival free time to visit the city. Accommodation. Breakfast in the hotel. At the indicated time we will depart for a visit to a natural site, the source of the River Cuervo and the Enchanted City with an opportunity for photographs. 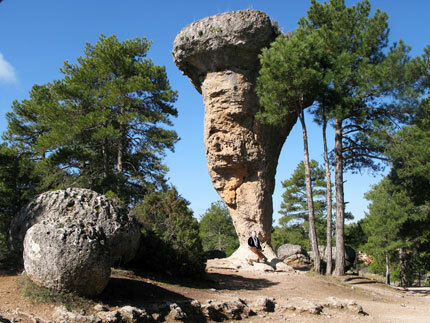 This is a full day tour in which we will discover the magic of the Serranía de Cuenca Natural Park, visit the Natural Monument of the Source of the River Cuervo, the waterfall of the Mill on the River Júcar, the lagoon of Uña and the Enchanted City, including a meal in a typical restaurant where we can enjoy the best homemade food from the area. After the meal we will have a photographic session of the scenery in Cuenca Mountain range to create the perfect memento of your holiday. When we finish, return and accommodation. DAY 10 CUENCA – MADRID. Breakfast at the hotel, at the indicated time depart for Madrid to catch the plane.